Advertising: a word dreaded by most startups thanks mostly to the high costs associated with running a campaign. However, it is one of the most effective tools that can help your business set itself apart from an increasingly competitive startup environment, and establish a relationship with your customers. Large enterprises invest an average of 2.9 billion USD every year in advertising. Startups on the other hand, don’t have as many resources to invest in such campaigns. Thankfully, social media and online advertising have made this marketing medium accessible to startups and small businesses. Let’s see a few of the benefits such efforts can bring for your business. The right advertising campaign can help you reach more consumers in markets you may or may not have considered before, be that locally or online. GoNuts with Donuts is an example of a startup founded in Colombo, Sri Lanka, that increased their exposure beyond what they thought was possible. Their “Mini Birthday Donuts” campaign reached over 11 million consumers nationwide in less than two weeks. Thanks to a carefully curated social media effort, their startup has grown to be a household name. And, as a result of their successful ad campaigns, they expanded super-fast and opened 7 stores nationwide. If your ad is appropriate for your target audience, increased exposure will result in increased sales. While the relationship isn’t exactly linear, investing in a carefully planned campaign can yield exponential ROI. For example, the Arizona based startup, State Bicycle Company, earn $500,000 in annual incremental sales, exclusively from their social media advertising campaign. A persistent campaign reinforces your brand image in the eyes of both potential and existing clients. Traditionally, advertising has been perceived as a means for new customer acquisition. However, the reinforcing effects of advertising on existing customers can prove very effective for keeping current accounts. The next time a consumer is shopping for products similar to yours, they will be more likely to consider your brand over the rest. Therefore, an ad campaign can be an effective tactic employed as part of a larger customer retention strategy. An advertising campaign provides an opportunity for you to educate the market about why the need for your product is so great. 33% of customers rely on educational and content marketing when making buying decisions. Launching a diligent campaign targeted at the right consumers will educate your business’s target market about your products and services. This in turn, positively reinforces why your product is superior to that of your competitors. Toyota’s Hybrid Synergy Drive campaign is a perfect example of the power of educational marketing. Reaching over 7.4 million people, Toyota’s hybrid technology saw an increase in demand (from 0 – 50,000 people) as a direct result of this singular campaign. Perhaps one of the greatest advantages of investing in an ad campaign is how it allows you to control the growth of your business. Startup growth can accelerate beyond your means and advertising allows you to control the number of clients entering the sales funnel. For instance, if growth starts to strain your resources, the ad campaign budget can be reduced. On the other hand, if business is slow, an ad campaign can be used to direct more clients towards buying your services. 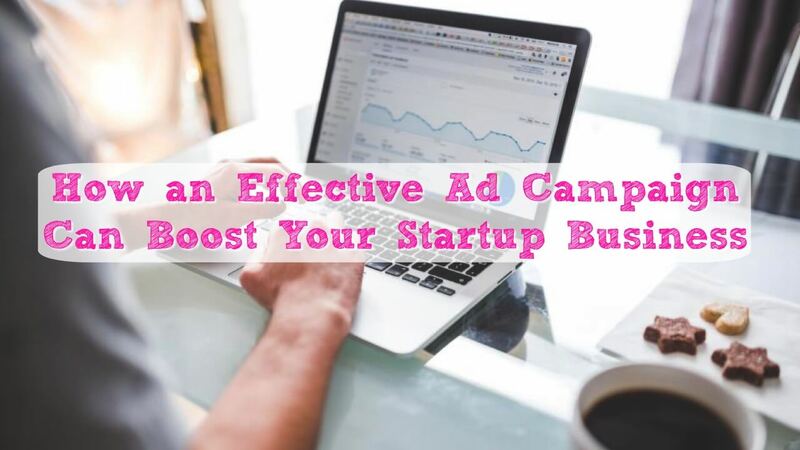 Ad campaigns can be an effective means to validate your startup concept in new markets. By targeting specific demographics, you are in a position to validate a concept before investing funds into building it. Your campaign could target users by location, age, and interests – to name but a few ways of distinguishing potential buyers. The best-selling book “The 4 Hour Workweek” was validated by author Tim Ferriss by means of an ad campaign. Furthermore, you have an opportunity to develop rapport with potential users of a future product. Not only does this aid in creating a pool of future clients, but it can provide a useful avenue to explore improvements in your offering. As you can see, the examples are there. When given the attention to detail they deserve, ad campaigns can be one of the most effective tools for growing your business.